Kia K900 was initially introduced at the 2013 LA Auto Show. 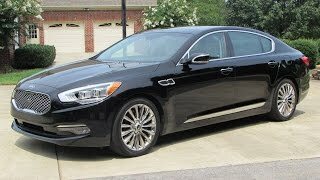 The company has officially announced the pricing for V8 2015 Kia K900: USD 59,500. 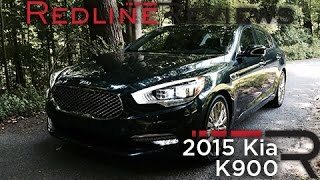 Well, that means Kia K900 is going to compete with luxury sedans like Hyundai Genesis, Mercedes E-Class to name a few. Will it fare well in competition? Only time will tell! 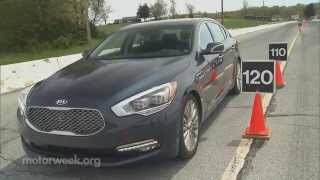 The 2015 Kia K900 will be offered with two engine options: a V6 engine and a V8 engine. Pricing for the V6 engine model will be announced closer to the launch. 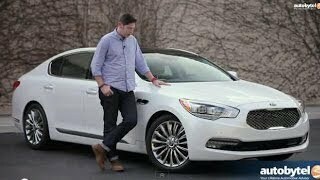 The 2015 Kia K900 is sure to leave an impression on the road with its long 119.9-inch wheelbase and wide 63.8-inch front and 64.1-inch rear track. The car seats on a 245/45R-19 tires up front and 275/40R-19 tires at the rear. 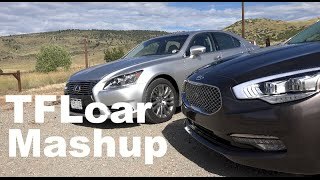 The Kia K900 comes loaded with 900-watt Lexicon high-fidelity audio system, the most powerful and advanced system ever offered by Kia. An audiophile’s dream come true, the Lexicon system features a trunk-mounted 12-channel digital amplifier, 17 speakers, including a center channel and an inverted subwoofer located in the rear parcel shelf. Front and rear park-assist sensors and cameras are standard across the line for enhanced confidence and convenience. A Lane Departure Warning System (LDWS) is standard on the V6 Technology Package and both V8 models.